I stumbled across this breakfast/brunch spot the other day and was delighted by how delicious it was. Just doors away from where I am staying in Biscayne, Miami is this artisanal gem. It opens at 8am and is pet friendly, so if your a dog lover like myself, this is a touch. Choose to sit either inside or out and enjoy the Brazilian vibe which is demonstrated by the architecture, music and ambiance. I chose to have the Sagrado grilled cheese which is a toasted baguette with requeijão cheese (it was so moist and cheesy-licious) with two poached eggs and crispy American bacon. Yum! 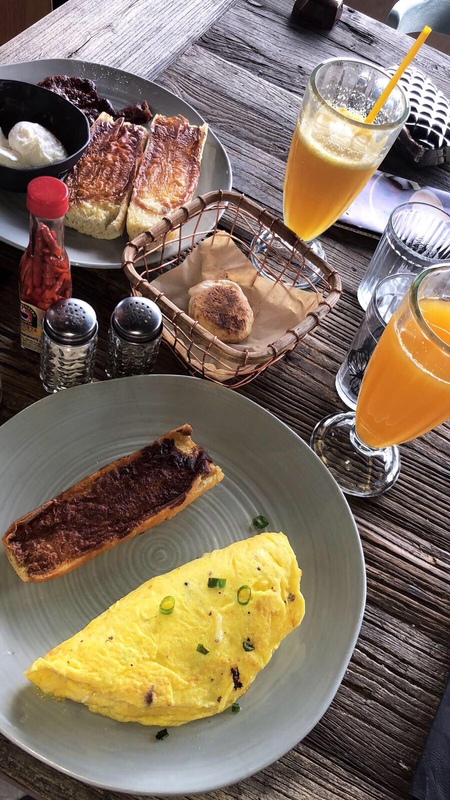 My friend got the grilled cheese with an omelette with her choice of fillings. She did send her toasted baguette back as it was a little over toasted, but they did this super speedy with no problem. The mini panini’s are adorable, small and round bite sized. Choose the filling and how many you would like and they will be freshly made and presented to you in a basket. With cold coffees, hot coffees (perfectly brewed) wellness juices, soft drinks and wine, just press the bell positioned on the table to get your waiters attention when you need a top up, or to order some sweet treats and enjoy the variety of flavours. Heaven. 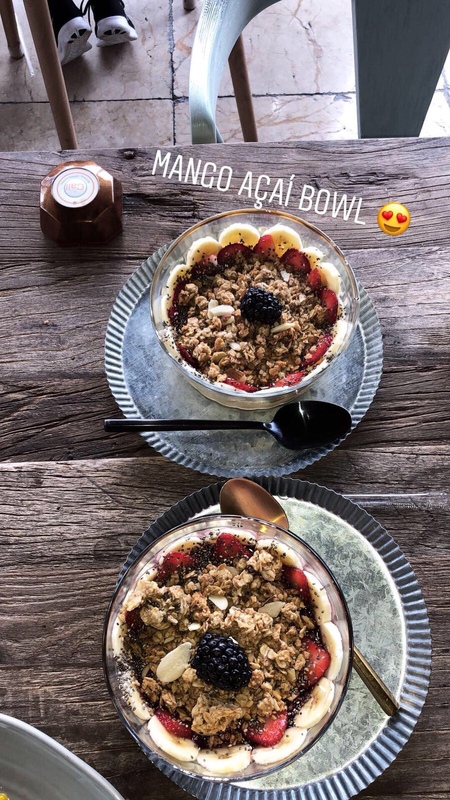 As tempted as we were to try the sweet desserts, we decided to try the beautiful Açai bowls. I had the purple dragon which was pitaya and açai blended with banana and topped with fruits and granola. The other choices were classic or mango passion. Judging from the menu, I think Sagrado is best known for their desserts. They serve brigadeiro which is a Brazilian delicacy. It’s made from condensed milk, coco powder and butter, then sprinkled in chocolate sprinkles. It tastes like a light-gooey -chocolate dream. The desert list was mouth-watering…from pies to cakes, to gelato’s to mousse; you will not be disappointed. The price on the internet is rated to be pricy ‘$$$’, but compared to London prices I thought it was very reasonable considering the quality of the food, the portion size and the overall experience. To view the full menu click here. Very insightful im planning on going to miami next week so i will deffo get down to sagrado to see if my taste buds agree! !